Using our state of the art control room centre at the heart of our business we can integrate your CCTV or alarm system with our fully monitoring capabilities thus giving your business the protection it needs. Once integrated we can monitor any cctv or alarm activation in real time and dispatch our response units or summon the police to deal with the intrusion. 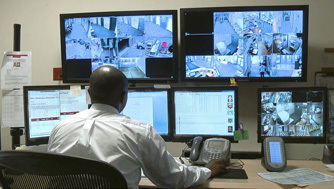 Do you need CCTV Monitoring or an Alarm Response team?